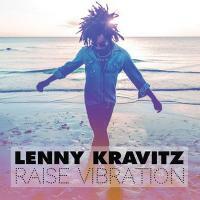 Titre(s) Raise vibration / Lenny Kravitz, par., comp., instr. & chant. Contient We can get it all together. - Low. - Who really are the monsters ?. - Raise vibration. - Johnny Cash. - Here to love. - It's enough !. - 5 more days 'til summer. - The majesty of love. - Gold dust. - Ride. - I'll always be inside your soul.